LISTEN TO PETER LUNT NOW! 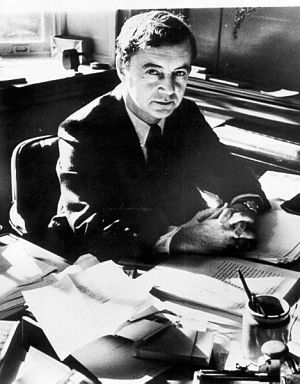 Erving Goffman has been called the most influential American sociologist of the 20th century (although he was born and did his early studies in Canada) thanks to his study and writing centered on the social interactions of everyday life. In books ranging from 1959’s The Presentation of Self in Everyday Life to the next decade’s Interaction Ritual to 1981’s Forms of Talk, the sociologist examined how the small things ultimately were writ large. A quarter century after his death in 1982 of stomach cancer at age 60, Goffman came in sixth in The Times Higher Education Guide as the most-cited author in the social sciences and humanities, just ahead of the prolix Jürgen Habermas. As the title of Presentation suggests, the onetime president of the American Sociological Association and mid-century doyen of symbolic interaction noted the nexus of the performed with the enacted, and was the academic who brought the idea of dramaturgical analysis into sociology. Beyond Goffman, Lunt’s own research interests often center on the public and the presented, including his widely covered work on talk shows and reality TV. David Edmonds: Many regard him as the most influential sociologist of the 20th century. Born in Canada in 1922 into a Jewish family from Ukraine, Erving Goffman spent his career in the US. Outside academia, he was an enthusiastic, and apparently successful gambler and stock market investor. He’s famous, among other things, for a powerful metaphor he draws about human life and theater. Peter Lunt, professor of media and communications at the University of Leicester, is an expert, and fan, of Goffman’s work. 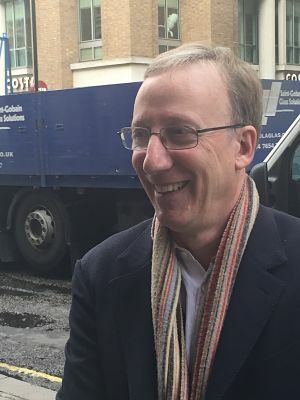 Nigel Warburton: Peter Lunt, welcome to Social Science Bites. Nigel Warburton: The topic we’re going to focus on is Erving Goffman. Erving Goffman was quite a remarkable social scientist. Could you just begin by saying just a little bit about what he was, when he lived? Peter Lunt: OK, well he is a sociologist. His work was conducted from the 1950s until the early 1980s and it’s quite wide-ranging, but it was always focused on what we call micro-sociology, on the details of social interaction in everyday life. Nigel Warburton: And he’s probably most famous for his book, The Presentation of Self in Everyday Life… but in a sense that’s a misnomer. Peter Lunt: Well, that’s an idea I’m thinking about. Probably he shouldn’t have called it The Presentation of Self in Everyday Life, but The Performance of Self in Everyday Life. The notion of the presentation of self in everyday life seems to imply that there is a self, as it were, before we enter a social life that is then expressed or articulated through social life, and in fact that wasn’t his argument. His argument was that the social self was formed through social interaction, that’s the important part: his view about the relationship between self and society. Nigel Warburton: And what he focused on was a kind of drama of human interaction, the everyday interactions that we have, almost as if we were actors performing roles. Peter Lunt: Well, I think it’s probably best to think of it as a metaphor that explains some of the ways in which we order our interactions in everyday life, because if you just listen to people talking, it can be really difficult to make sense of what meaning and what order the interactions have. So I think Goffman was very much seeing with an ethnographer’s eye, he sat himself down in many different situations, interacted with people, engaged with people, and was very much on the lookout to try and understand the underlying forms or order that lay behind social interaction. Nigel Warburton: Could you give an example of the kind of thing that he did? Peter Lunt: Yes, I mean there’s a lovely example which is in one of his very early essays where he’s doing his PhD research, and he’s sitting, in an island to the north of Scotland, and he’s sitting in the bar of a hotel. He’s listening to the interactions between the receptionist and some guests who are coming in to the hotel. The receptionist has to explain that there’s a problem with the booking, or they’ve got the wrong room or something like this, he was interested in these occasions, how did the receptionist manage that social interaction. What he observed was that the receptionist used a range of techniques, which he felt were very similar to techniques we used in cons, where a con-artist sort of swindles someone out of money, there’s often another person who comes along after that to persuade the person that they’ve been conned, yes, but there’s not much they can do about it, they have to live with this sort of thing, and it was that thing, and he called that, and gave it a wonderful expression, ‘Cooling the Mark’, and he began to understand that in everyday life, we often use techniques like that to just calm people down, or sort of move them along, and it played that sort of role in conversation. It was what he noticed, the parallel between the receptionist trying to sort of move the person on, and get them to accept that they weren’t going to get the room that they wanted to have, and this deception that was part of the con-man’s armoury that was quite interesting for him, and he started to think, how can it be that across such varied social situations, with such different meaning, there might be something in common like this , and this was what gave him the idea that underneath the apparent diversity of everyday social interaction, there were some sort of forms, or formal ways of organising interaction. Nigel Warburton: That’s really interesting, but how did he go about understanding those forms? Peter Lunt: He was doing his PhD in Chicago, there was a very particular approach to sociology that is associated with the Chicago school primarily in ethnography, and here was Goffman, in a very non-urban setting, nevertheless holding to those principles of ethnography, so he’s basically hanging out, as we would now call it probably, and he’s hanging out in a rural community, and he’s just looking for patterns, he’s looking for commonalities, and he’s looking for the ways in which people manage to sort of make their interactions make sense, on the one hand, but also come out as reasonably orderly, and with that idea he’s very much influenced by a range of theorists, but Simmel being a primary one, who were very attracted by the idea that modern life, in all its dynamism and chaotic form, so this was a characteristic of modern life, and in a sense the task for the individual in modern society, was to constitute order through their own actions, and through their own interactions with other people. So Goffman had a set of ideas like that buzzing in his head, and then he puts himself in the situation in ethnography. What emerges through his observations is certain sorts of metaphors for understanding the way in which we might be ordering social life. Nigel Warburton: And that metaphor of drama taken from the Shakespearean notion of “All the world’s a stage” gave him a whole set of terms and frameworks within which to understand human interactions? Peter Lunt: Yes, it did. It was an exciting idea really and it captures something that I think we all intuitively recognize, that to some extent in everyday life we are performing, and that in a sense, our selves are performed. I think that it’s really important for us to understand what kind of a metaphor it was for Goffman, and I think, as they say, it worked on many levels. So, in one sense his idea was that everyday life could be understood by reference to the theater, so the theater gives us an idea of how performance might be organised. So for performance to be organised you have to have a place, an occasion. You have to have a start and an end of a performance; you have to have props, a physical setting in which the performance can take place; and you have to have roles, you have to have lighting, you have to have a lot of things, material and non-material, organised together. Now, in a sense that’s the professional theater, and that is a kind of extension, or an intensification, a professionalization of something that Goffman began to recognize was happening in everyday life. Of course, we don’t have theaters to do our performance in, we’re doing live performance in everyday life: it’s more like extemporary theater. So he began to get interested in what were the techniques. Did we, in everyday life, have things that were equivalent to the techniques that were used in theater? So, for example, the opening of the curtains is a very significant moment because it tells us that we are entering a new realm, and the realm is the realm of place of fantasy, a place where we will be able to sort of reflect creatively on life, where we will go along with the performance that, the suspension of our normal cynicisms and disbeliefs that would take place, and in a sense, Goffman began to understand that our performances in everyday life also were ordered in a similar sort of way. In a sense, we had to start the performance, so we’ll have a dinner party, and we’ll have rituals by which we sort of greet people at the door, and we will construct the dinner party as a space of performance in a parallel way to the way in which the professional theater is constructed. Nigel Warburton: I love the way that he picks up on this notion of a backstage in the theater, and then applied that to other aspects of life. Peter Lunt: Well, it’s a perfect example of the way that he takes something that’s professionally managed and institutionally structured in the theater, and then looks for parallels in the way that we ourselves construct interaction in everyday life. And what he argues is that everyday life is ordered in terms of public social spaces, and private spaces, and that there’s a very interesting relationship between these two, especially in relation to a concept of the self. So, in a sense, the self is divided between a self that is a private self, a self of our domestic world, and a public self, in which we perform ourselves. This is very interesting because what Goffman begins to suggest through this, that this fundamental category of social thought, of the way in which societies are organised in terms of the management of the relationship between the public and the private, was something that was also mirrored and constructed in everyday life; and he begins to suggest there, I think, something that’s in Simmel’s work which is a notion of emergence, that there is something about the relationship, the parallel between the way in which public and private is essential for everyday life, and the way that it’s also essential for institutional life. Nigel Warburton: Goffman is very unusual in his approach to research in that he became a participant observer not in another culture, but actually within his own culture, behind the closed doors of a psychiatric hospital. Peter Lunt: Yes, that’s right. The early work, which was very much focused on everyday life, did look at some institutional contexts, mainly work contexts, but basically Goffman was looking at the contexts of modern liberal democratic societies, and was very interested in the capability that people had to constitute their own scenes, to constitute themselves through social interaction, and in this there’s a theme that runs right through his work, which is that there’s a hidden normative agenda, or some people say not so hidden, to sort of support in a way American liberalism, and the idea that the free society is one in which you can get these spaces in which you can constitute yourself through your interaction with your peers, and where institutions, as it were, healthy institutions, would allow for that possibility, would almost be built, would emerge from this capacity of human beings to constitute order. So the order and institutional order would be an emergent order from the qualities of human interaction, and what he was very interested in, therefore, was testing that idea by looking precisely at an institutional setting that didn’t have those characteristics, and an example of that would be a mental hospital. Nigel Warburton: Now, the performing individual is put under special pressures within a psychiatric hospital, and Goffman experienced that at first hand. Peter Lunt: He did, it was an extraordinary study, he got agreement to sit and do an ethnography, I think he was there for between nine months and a year, and he was basically hanging out on the ward, and he very much did the ethnography, he says, and I think this is borne out in his fantastic book Asylums, from the perspective of the inmates. If we think of the idea of social institutions as constraining the kinds of opportunity for individuals to constitute themselves, which is what he’s been concerned about in The Presentation of Self, he’s now almost like testing out his own theory by finding an extreme formulation, an extreme context in which it’s going to be incredibly difficult for anything like the kind of things he’s been looking at in The Presentation of Self, and his other work. It’s going to be very, very difficult for people to constitute themselves through social interaction because of the constraints and controls on everyday life. He illustrates this beautifully in Asylums, when he talks about individuals being admitted into the mental hospital, and he talks about a process he regards as an attempt to annihilate the self. Basically the person has their clothes removed, they’re taken through a whole set of bureaucratic procedures, and there’s a sort of social distancing from everyday life that is taking place, as it were, as you enter this institution. Nigel Warburton: So, as you enter the hospital, you lose the props which allow you to play the roles that you’ve been accustomed to? Peter Lunt: Yes, that’s right and what’s been brought home to you very clearly is that you don’t have the freedoms that are part of the freedoms of this liberal democratic society that Goffman’s been very interested in, so clearly here there’s another agenda for Goffman: it’s a set of concerns about the possibilities for the kinds of liberal society that he was obviously, cherished. So his concerns were whether or not institutional forms would constrain personal freedoms, basically, and he’s chosen a context which is going to be a very good test of that. How can people carry on living as human beings, because for him there’s again another normative conception in his work, and it’s a normative conception of what it is to be a human being. We might regard it as a minimal ethic, it’s the possibility for a person to have that potential to realise themselves socially through their free interactions with others in a society, and if social constraints stop that possibility, then people cannot realise themselves. Now, if we tie that back to this notion of emergence that he has, this has a broader normative concern, the ‘good society’ will not be able to form itself because the lifeblood of the ‘good society’ is the emergence of institutions from people’s free social interactions. Nigel Warburton: So are you suggesting that these kind of institutions, he calls ‘total institutions’, things like a psychiatric hospital or a boarding school – where there is no easy backstage to find, where you lose a lot of your props to create your own identity – that they’re on the road to totalitarianism? Peter Lunt: Well, I think that he doesn’t put it in those terms, but I think it’s pretty clear that that was his agenda, but I don’t know if he was really necessarily trying to make a comment on totalitarian society, he was trying to say something much more subtle, which is the tendencies of modern society towards totalitarianism, and totalitarianism is, as it were, a micro-totalitarianism to match his micro-sociology. Nigel Warburton: So we’ve been talking about what’s usually known as Goffman’s dramaturgical account of human interaction. That’s not his last word on society is it? Peter Lunt: No, it isn’t. That partly comes from the fact that he didn’t just use the drama metaphor. He used two other metaphors in his early work on social interaction, and one of them was the notion of ritual. Now, the notion of ritual was right there from the beginning, and there are aspects of his dramaturgical work that talk about the ritual elements, I mean theatre is full of rituals and so he was conjoining this idea of presenting ourselves through drama through another form of social order, being the ritual, and so that got him into different kinds of territory, in particular it got him into an engagement with Durkheim. Durkheim’s last book was a sociological analysis of anthropological work on primitive religion. It gave an account of ritual in a way that gave us an understanding of individualism in modern society, in which the sacred was attached to the individual. We honour the individual through our social interactions, through the politeness, through the care with which we take of the other through social interaction. And you can see how this fits the dramaturgical metaphor quite well, but it’s a different set of ideas, it’s treating the other as a sacred totemic object and making that happen through our respect, through our politeness. So, a lot of his work began to look at the ways in which social interaction was held together as an ethic, as an ethic of care, in a sense. Nigel Warburton: That’s the first metaphor but what was the second one that you were alluding to just now? Peter Lunt: Well, the second one was the game concept, and this was again very influential in Goffman’s thinking, and characteristically, idiosyncratically, Goffman approached the game notion from two different angles. He went on sabbatical to Harvard, and went and worked with someone who was a game theorist, who was looking at the mathematics of games, and at the same time he began to read ordinary language philosophy where the concept of the game’s a very important way of understanding language and language as a system of rules. I think it is characteristic of Goffman that he was taking these two very different understandings of games, and permuting them, and working them through and thinking about them in this sort of way. He was drawn into the debates that were happening particularly around the notion of speech acts, and it drew him into an idea that many of what he had been regarding as formal structures that he was searching for in the chaos of social interaction, could actually be understood as linguistics, as rules in language, rather than as formal, social structures, and this was quite a significant shift for him. Nigel Warburton: Goffman’s often accused of being overly focused on that micro-level of sociology, so he looks at these tiny interactions, but loses a sense of the bigger picture. Is that a fair criticism? Peter Lunt: It is, it’s a fair position to take on Goffman’s work, and certainly there was a period in the late ‘80s and early 1990s where sociological commentators on Goffman’s work were saying exactly this, and what they did say, which was very creative and very positive, in a way, about Goffman’s work, was to say that he only was looking at half the story. That he was making lots of very interesting suggestions about the ways in which these micro-details of everyday life and the way in which social order in constituted by individuals, through their social interaction. These were very acute and interesting observations that he was making all of the time, but he was always stopping short, he was always stopping short of how this connected to institutional forms. He refers to institutions at various points, he uses the term ‘society’ a lot, and he makes reference to the classic sociological theory, to Weber, to Durkheim, but there’s never any explicit statement of his sociology that links his engagement with everyday life to broader sociological theory, and this is a reasonable criticism of his work. On the other hand, one can begin to see that always for Goffman the relationship between society and these structures of interaction in everyday life was imminent, so I think what we begin to see is that he had various sorts of ideas, for example the idea I talked a bit earlier about emergence, that somehow what one could see was the way in which institutions that might still have a place for agency, might be structured in order to enable. That’s, in a sense, a commentary on a society, without being a detailed analysis of institutional forms, and consequently his work has been picked up, for example, in organisational studies for exactly these reasons, but it’s more that he wrote a lot of promissory notes to an analysis of the society, but what he was giving us was a really detailed understanding of the fabric of everyday life, against a certain sort of social background. Nigel Warburton: Do you see Goffman as an interesting theorist of the past century now superseded, or is he somebody with a continuing relevance to our understanding of society now? Peter Lunt: Whether I think that or not is probably not the point, but what’s fascinating, certainly in my own field of media and communication, is that there’s a burgeoning interest in Goffman. This is in particular in relation to understanding social media, and a lot of these questions that have been talked about, have been thrown into relief by these new digital forms of communication. We can see how this might work, if you take a platform like Facebook. We have all of the things that Goffman was interested in are in play. There’s a certain kind of social space, it has a sort of public dimension and private dimensions, there are aspects of it that are clearly ordered as social interactions, and others are sort of more secret messages that can take place in the background, there’s a continual dynamic referencing of the world of Facebook that we are in, as it were, and the world that we live in, in interesting sorts of ways, to get closer to sort of some of Goffman’s later work. We get this sense that this is a very interesting, what Goffman would have called, ‘participation framework’, the idea that communication can’t be reduced to the dyadic of the speaker and the hearer. To understand communication, we have to understand the different roles that people can play in participation. So for example, one role is the audience role, or the over-hearer role, and the switching between these roles, the opportunities for this, and the flexibility of this form, I think, would have excited Goffman enormously. I think if he’d been around today, he’d be doing an ethnography of Facebook. Nigel Warburton: Peter Lunt, thank you very much. Peter Lunt: Thanks, thank you. 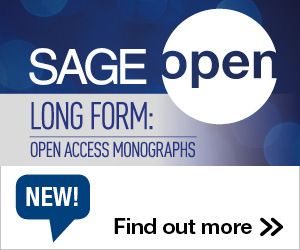 This entry was posted in Audio, Social Science Bites and tagged Dramaturgy, Erving Goffman, Ethnography, Media, Peter Lunt. Bookmark the permalink. Post a comment or leave a trackback: Trackback URL.